Those who know me well enough know that I'm not a fan of heels. They hurt, they ache, they stress me, they scare me, so I just stay away from them. I've grown older, I've come round and have to admit that they do have a certain appeal. I have a couple and overall, my verdict remains the same - they are a pain in the behind....but I don't have a choice. Going to a red carpet event? Church? An outing? I hear they also help posture, help to enhance your derriere and a couple of other things like that but I'm still skeptical and still can't stay away from them. 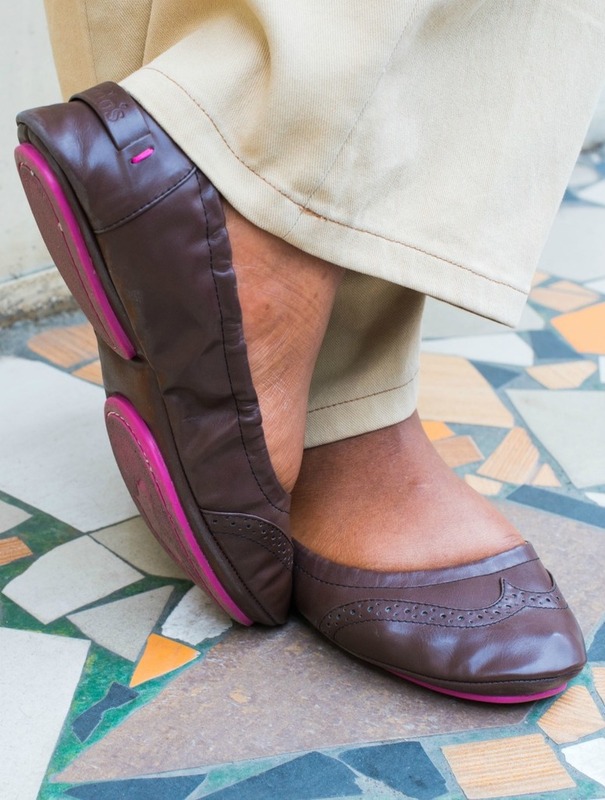 I was gifted a pair of these foldable ballet flats courtesy of a survey I was supposed to have filled a while ago. Who am I to say no even though I can't remember? lol. They arrived, perfect size and they are beautiful. I don't need to mention the artsy pouch the flats come in right? The pair I got is called 'Fritzwa', after the Ghanaian/Sierra Leonean musician who designed them. 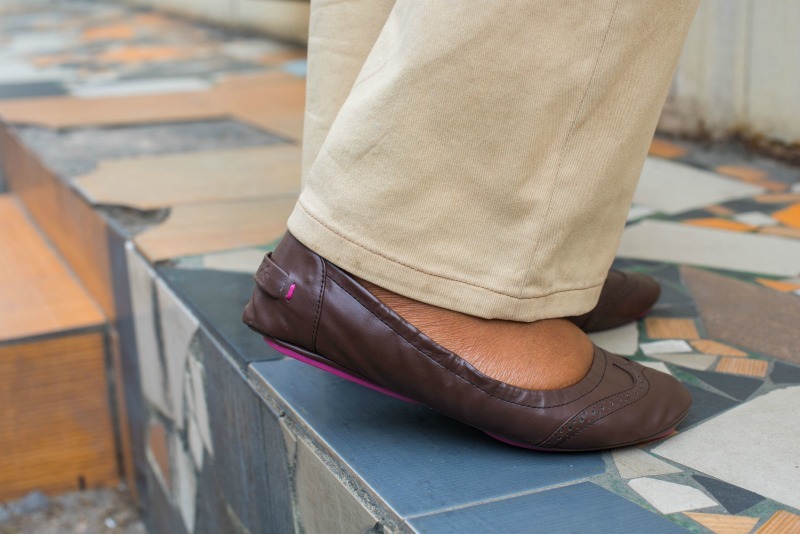 They have a very unique bright pink sole which provides a lovely contrast to the coffee brown upper. 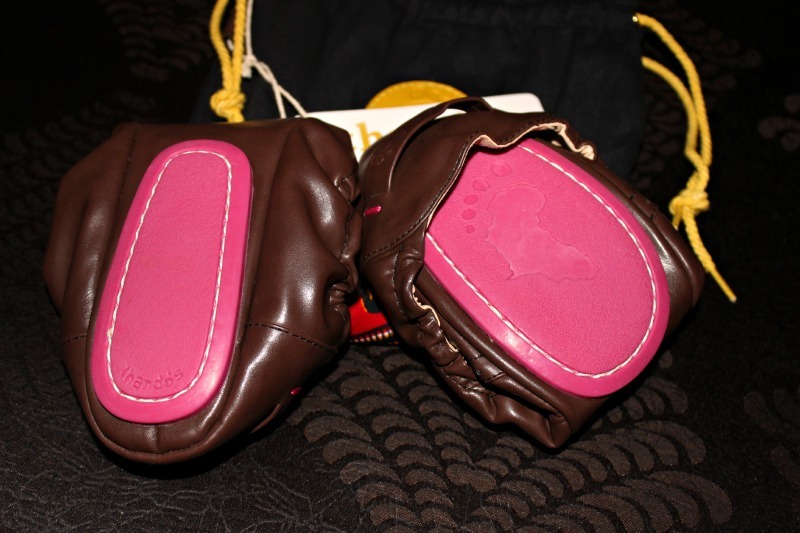 I love the pink soles of the Fritzwa pair I got. I was so scared I was going to get a design I didn't like, even worse, that I wouldn't get my size but I love the colour I got - it's leather, it's brown, it's a wingtip design. i mean, what more could I ask for? For the Love of the Sole. 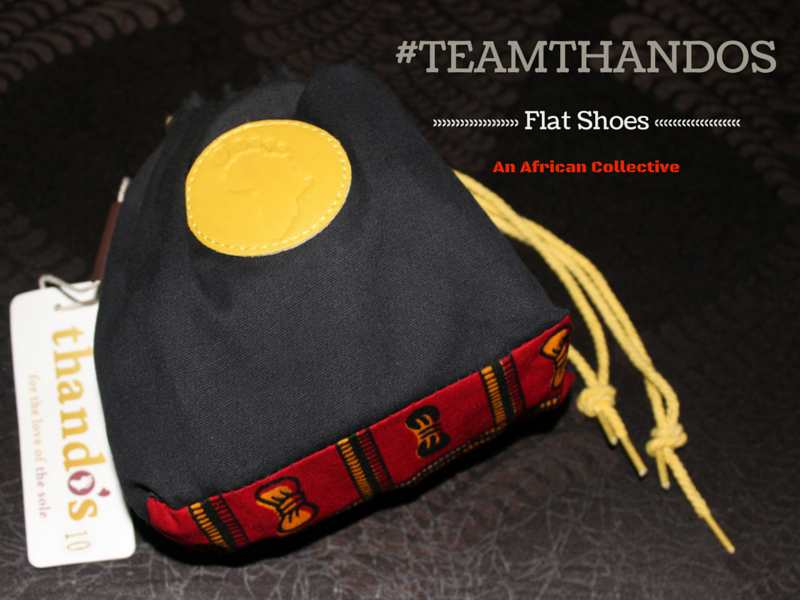 Thando’s provides a platform for African artists to design shoes for women that are comfortable, convenient and stylish. 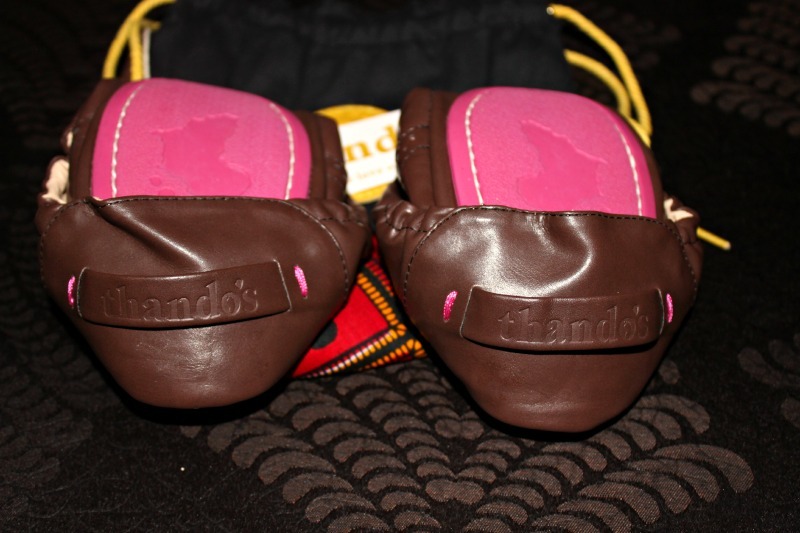 Our products are inspired by Africa and delivered to the world. I wore mine for a full day at the office. 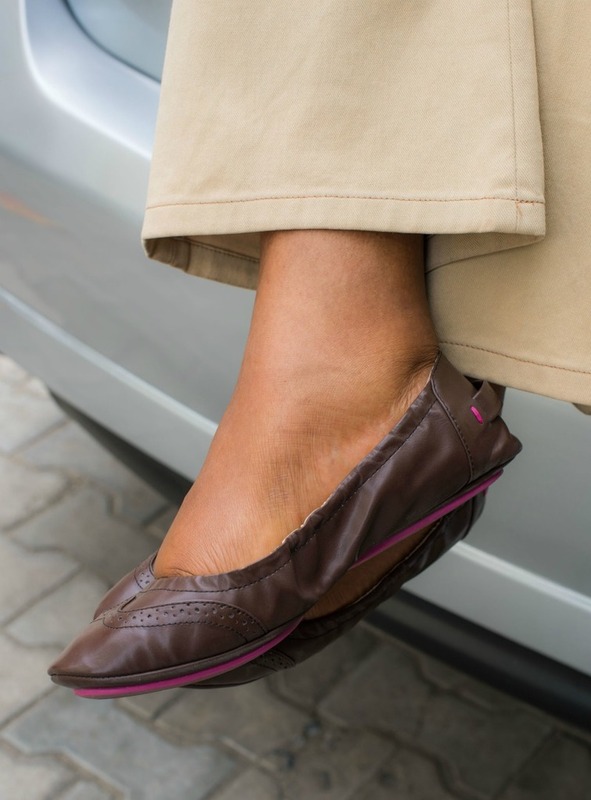 I wear some super cheap, corduroy flat shoes as casual knoock-about footwear to work all day and week long (have 2 pairs of the thing) so decided to swop them with my Thandos Fritwa pair for a day. Misan took pictures of them. I was afraid that after wearing the pair all day long, I'd scuffed the life of them as a result of all the gravel in my office compound. I'm glad to say that asides an almost invisible scratch underneath and the bright pink being a bit dulled, they were still looking as good as new. So you can tick durable too. 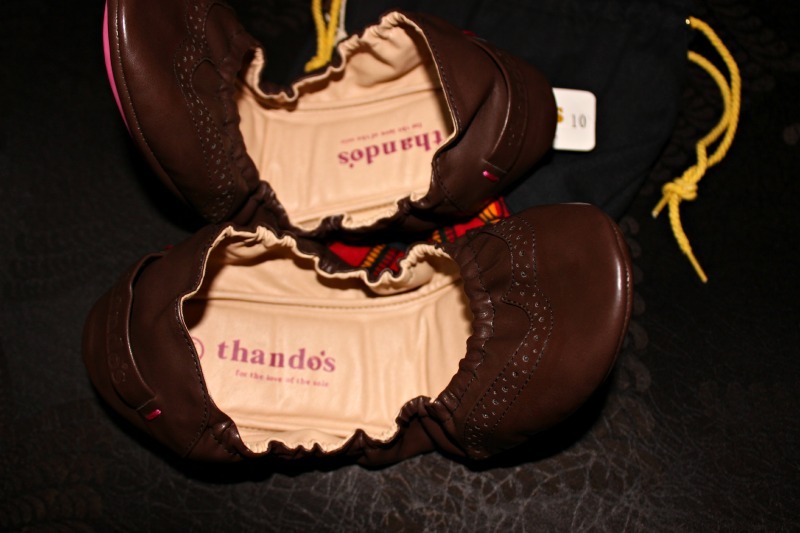 Thanks for my flats Thandos. You can get your own pair from the Grey Velvet Boutique or heels.com.ng.